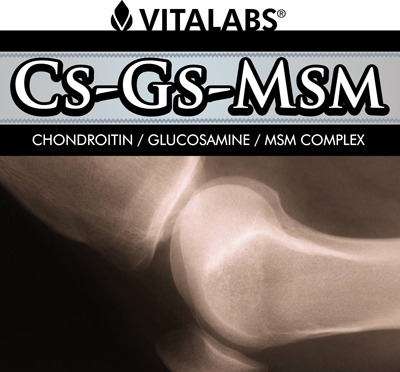 Vitalabs GS-GS-MSM Complex is an excellent choice for anyone seeking a well-rounded formula containing several distinct joint support ingredients--Chondroitin Sulfate Complex, Glucosamine Sulfate and MSM (methylsulfonylmethane) This is an all-natural supplement for the treatment of joint pain associated with arthritis, fibromyalgia, and other rheumatic conditions. SUGGESTED USE: 5 capsules daily preferably with meals or as directed by a healthcare professional. Contains 200 Capsules.